Crocodile meat comes from Southern Africa and is an exceptionally tender, juicy meat. It’s low in fat and cholesterol but very high in protein. Some say it tastes like chicken, crab or even pork. 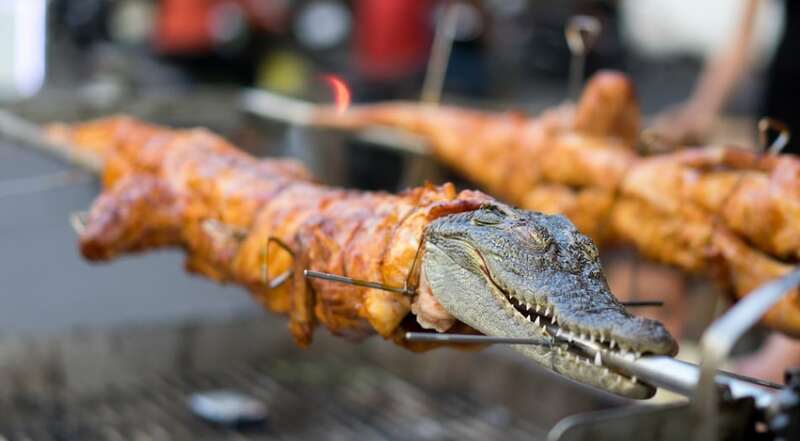 People in China regularly eat crocodile meat and substitute it for beef and pork.